London Driving Schools in Elephant and Castle SE1 is pleased to offer quality cheap beginner driving lessons in North, West, East and Elephant and Castle in the London Borough of Lambeth. Our male and female driving instructors in Elephant and Castle are highly qualified and have extensive knowledge about the driving tactics that would help any new driver overcome the fear of driving. Our instructors are ready to fully equip you with all driving tactics effectively. All instructors of London Driving Schools in Elephant and Castle are DVSA qualified and are famous to train learners in friendly and interactive environment. We have both male and female instructors who are experienced to train you on both automatic as well as manual cars. Here are some great Driving Test Tips for new and beginner drivers in Elephant and Castle. What makes us one of the best driving schools in Elephant and Castle? Our driving schools in Elephant and Castle follows the driving course outlines according to the standards of DVSA (previously the DVA). Your driving lessons with us in SE1 starts off on the quiet back roads of Elephant and Castle in order to increase your confidence with steering and basic car controls, such as stopping, starting and clutch control with gear changing. After making sure that you are getting to grips with the basics, your lessons then shifts on relatively busy roads around Elephant and Castle. This will give you the test of different hazards and road layouts. Which will not only improve the effectiveness of learning but will also be helpful at the time of test. Our Elephant and Castle driving instructors plan your route in a purposeful way so that you experience driving through a number of T junctions, roundabouts and pedestrian crossings. All our Driving Schools in Elephant and Castle instructors follow DVSA standards and train every learner as per the learning capability of each individual and we try to adapt the pace of the lessons to suit your knowledge and speed of learning. That is why more than more than 90% of our students at our Driving Schools in Elephant and Castle pass their driving test in first attempt which is the proof of our quality driving lessons. We also help our students in applying for their driving license. Your learning journey with London Driving School will be free from all the stresses and strains of that come with passing your driving test in Elephant and Castle. Choose our Driving Schools in Elephant and Castle. Do not wait to enjoy the pleasures and freedom of motoring. 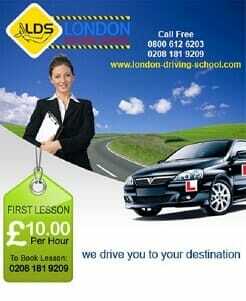 Join London Driving Schools in Elephant and Castle SE1 for quality driving learning within your budget and time frame. Driving Schools in Elephant and Castle provide a range of driving courses in Elephant and Castle and driving lessons Elephant and Castle Town, West Elephant and Castle East Elephant and Castle each carefully designed to help you achieve your driving licence in the quickest possible time in SE1. LDS Intensive Driving Courses Elephant and Castle enable you to pass your driving test in just 2 weeks time whilst ensuring you are fully confident in your abilities on the road. Refresher Driving Courses, ideal for those wanting to brush up on their driving skills in Elephant and Castle. 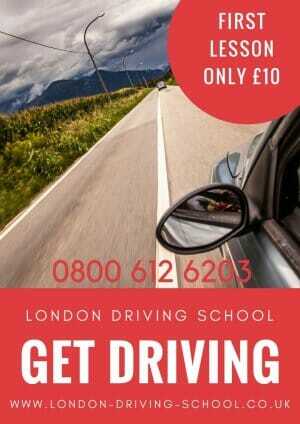 Advanced Driving Courses SE1, for those wanting to take their driving ability to the next level. Motorway Driving Courses, for those wanting to gain extra confidence in their motorway driving abilities. Pass Plus Driving Courses SE1, to give you extra confidence once you have passed your driving test, along with substantial insurance discounts. Click here to find out more about the driving courses in Elephant and Castle SE1 we offer. Our Driving Schools in Elephant and Castle can arrange another driivng test quickly? Driving Schools in Elephant and Castle can arrange you driving test and provide you with a vehicle in under 10 days. Our Driving Schools in Elephant and Castle have access to late cancellations and short notice driving test date bookings. Have you recently failed your driving test in Elephant and Castle and need to arrange another test quickly? 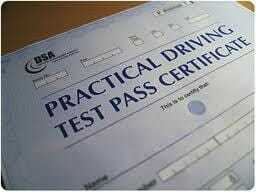 LDS can arrange you driving test and provide you with a vehicle in under 10 days. We have access to late cancellations and short notice driving test date bookings. We can also provide you with an emergency driving test vehicle in Elephant and Castle If you need a vehicle in Elephant and Castle to take your driving test in at short notice give us a call. Which driving test centre is near to you in Elephant and Castle SE1? See our Testimonials to find out why you should be joining London Driving Schools in Elephant and Castle. LDS is now covering the area of Elephant and Castle and Walworth Road.